3184 - Photo: Nigel Petre Collection. 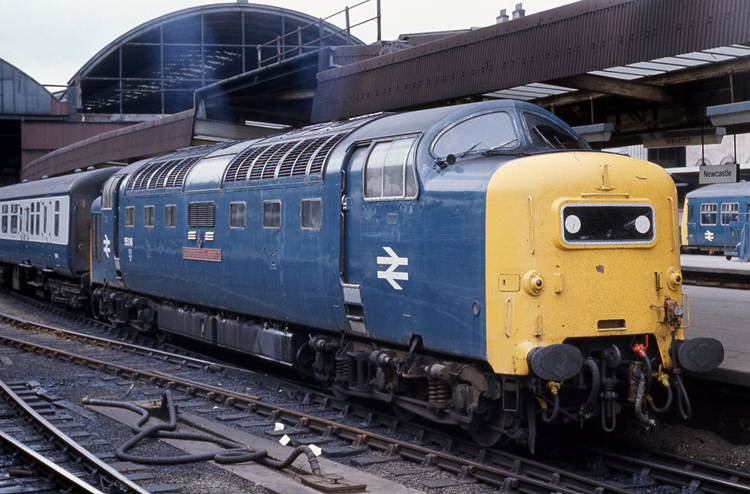 Hens teeth are far more common than photos of 55016 (D9016) "GORDON HIGHLANDER" with Domino style headcode blinds. In fact for some considerable time it was though 55016 never carried them. Now it is known to have been in this guise from at least December 1974 until its call to works for Heavy General Repair in July 1975. Here the loco is seen circa 1975 at Newcastle with its short lived appearance.